Arun Gopinath was born into a family of reputed artists hailing from Shoranur, Kerala. His father, Shri. Kalamandalam Gopinath is a Mridangam artist. Mother Smt. 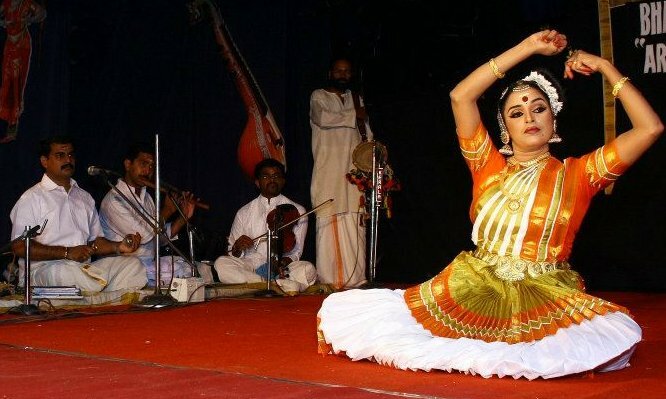 Kalamandalam Sridevi Gopinath is a Mohiniyattam Artist. His two brothers, Kiran and Varun are also artists. Kiran completed his M.A. 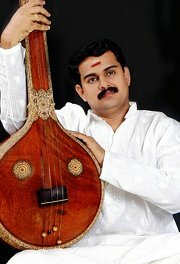 in Mridangam (1st Rank) and currently working at R.L.V.College, Thripunithura. At the age of 7, Arun started his Basic lessons in music from Shri. Sreedharan Namboodiri, following which he was trained by Sri.Parameswaran Nair for a period of 10 years. He then continued to train under Bhagavathar Sri. Parameswaran Menon for a further period of 3 years. He obtained his M.A. in Music from Kannur University in 2005. Apart from vocal music, he is an exponent in violin and Kathakali Sangeetham, with his parents and Shri. Vayala Rajendran (violin) as his gurus. He holds the Ganabhushanam Diploma in Violin from Chembai Music College. Over and above his exploration and skill in music, Arun is a graduate in Commerce and holds PGDCA Certificate.